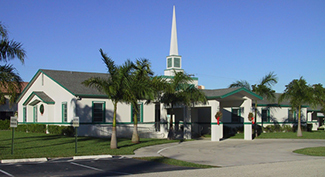 Hello and welcome to the website for Emmanuel Baptist Church in West Palm Beach, Florida. Whether you are visiting South Florida, are new to the area, or are looking for a church, we would like to invite you to browse through our website to get acquainted with us. We would also like to extend an invitation for you to pay us a visit in person. You will find Emmanuel to be an extremely friendly church where you will be treated as a welcome and honored guest, all while in a smaller church atmosphere. As you will see from our website, Emmanuel Baptist Church is family orientated and has ministries available for each member of your family. Our goal is to glorify God as we worship Him, seek to help people come to know Jesus Christ as their personal Savior, and to encourage believers to grow in their personal walk with Christ. As a Christian family, it is our privilege to serve our Lord and each other as we learn His Word and try to please Him in our daily lives. 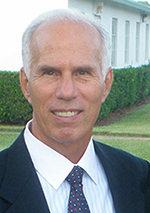 Emmanuel is an independent, fundamental Baptist church. Our music is conservative, our services are traditional, and our preaching is from the King James version of the Bible. It is a joy to see souls saved on a regular basis and to be a part of a growing ministry. God has been extremely good to us!